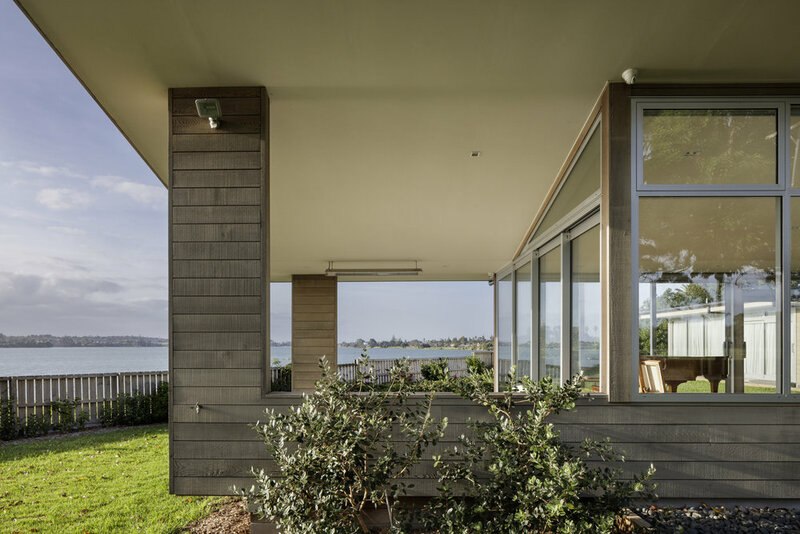 The house naturally takes advantage of views immediately east to what was known by locals as the "Waka superhighway" of Auckland, a historic motorway for canoes that would enable travel between the Manukau and Waitamata harbors. Following an "L" shape plan and enclosing a courtyard protected from the sun and winds as well as the public view from the adjacent park, the house is orientated with a pavilion for living areas to the north and bedrooms facing east to a lawn and inner garden. 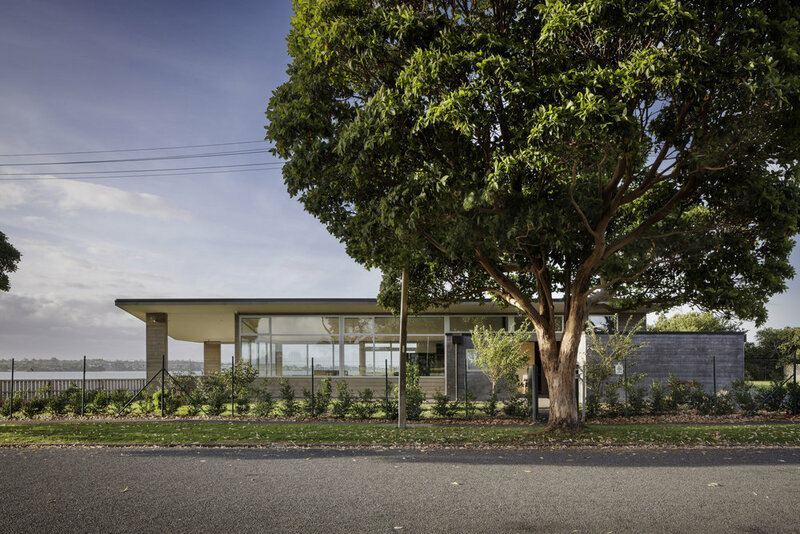 Anchored by precast textured concrete panel walls with the dark oxide colour, drifting pavilion roof form glides above the cedar and concrete walls and a distinguished entry narrows to a forced perspective entry.